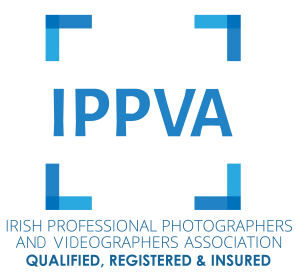 1.1 We are committed to safeguarding the privacy of Visible Moments Photography website visitors and service users. 1.2 This policy applies where we are acting as a data controller with respect to the personal data of Visible Moments Photography website visitors and service users; in other words, where we determine the purposes and means of the processing of that personal data. 3.2 We may process data about your use of our website and services (“usage data“). The usage data may include your IP address, geographical location, browser type and version, operating system, referral source, length of visit, page views and website navigation paths, as well as information about the timing, frequency, and pattern of your service use. The source of the usage data is our analytics tracking system. This usage data may be processed for the purposes of analyzing the use of the website and services. The legal basis for this processing is our legitimate interests, namely monitoring and improving our website and services. 3.3 We may process your account data (“account data“). The account data may include your name and email address. The source of the account data is you. The account data may be processed for the purposes of operating our website, providing our services, ensuring the security of our website and services, maintaining back-ups of our databases and communicating with you. The legal basis for this processing is our legitimate interests, namely the performance of a contract between you and us and/or taking steps, at your request, to enter into such a contract. 3.4 We may process information contained in any inquiry you submit to us regarding goods and/or services (“inquiry data“). The inquiry data may be processed for the purposes of offering, marketing and selling relevant goods and/or services to you. The legal basis for this processing is consent. 3.5 We may process information relating to our customer relationships, including customer contact information (“customer relationship data“). The customer relationship data may include your name, your contact details, and information contained in communications between us and you. The source of the customer relationship data is you. The customer relationship data may be processed for the purposes of managing our relationships with customers, communicating with customers, keeping records of those communications and promoting our products and services to customers. The legal basis for this processing is our legitimate interests, namely the proper management of our customer relationships. 3.9 We may process any of your personal data identified in this policy, where necessary for the establishment, exercise or defence of legal claims, whether in court proceedings or in an administrative or out-of-court procedure. The legal basis for this processing is our legitimate interests, namely the protection and assertion of our legal rights, your legal rights and the legal rights of others. 4.2 Financial transactions relating to [our website and services are handled by our payment services providers, Stripe online payment provider and Sumup in studio card payment provider. We will share transaction data with our payment services providers only to the extent necessary for the purposes of processing your payments, refunding such payments and dealing with complaints and queries relating to such payments and refunds. You can find information about the payment services providers’ privacy policies and practices at Stripe; Sumup. (a) “account data”; “inquiry data”; “customer relationship data”; “transaction data”; “notification data” will be retained for a minimum period of 2 years following data entry date, and for a maximum period of 5 years following data entry date. 8.3 You have the right to confirmation as to whether or not we process your personal data and, where we do, access to the personal data, together with certain additional information. That additional information includes details of the purposes of the processing, the categories of personal data concerned and the recipients of the personal data. Providing the rights and freedoms of others are not affected, we will supply to you a copy of your personal data. The first copy will be provided free of charge, but additional copies may be subject to a reasonable fee. Please contact Visible Moments Photography at info@visiblemoments.com to obtain your personal data details. 13.1 This website is owned and operated by Visible Moments Photography. 13.2 We are registered in Ireland and our registered office/studio is at 7 Canal Walk, Park West Industrial Park, Dublin 12. 14.1 Our data protection officer’s contact details are: Joanna Sieczkowska contact at joanna@visiblemoments.com.